Multifaceted entrepreneurs, authors, and twin television personalities Drew and Jonathan Scott are co-founders of Scott Brothers Global, which includes Scott Brothers Entertainment and Scott Living. 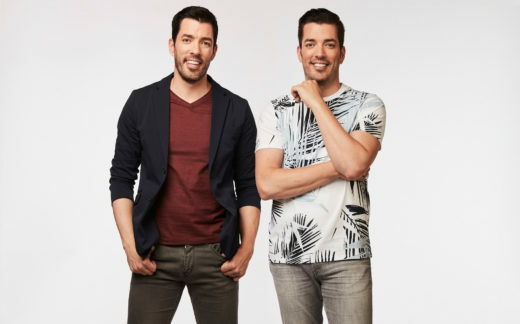 Drew and Jonathan are hosts of the top-rated, Emmy-nominated, and Canadian Screen Awards-winning HGTV series Property Brothers as well as Buying & Selling, Brother vs. Brother, and other shows that are enjoyed by millions of views in over 150 countries. All three of the Scott brothers’ books-Builder Brothers: Big Plans, It Takes Two: Our Story, and Dream Home: The Property Brothers’ Ultimate Guide to Finding & Fixing Your Perfect House-are New York Times best sellers. In 2017, they were names Habitat Humanitarians, the highest recognition offered by Habitat for Humanity.